“Someday quantum computers will, their cheerleaders swear, sift through unprecedented volumes of information and solve processing problems once thought intractable. The military hopes to use them for extra-secure encryption, biologists hope to use them to unpack the mysteries of proteins, investment banks hope to use them to analyze minute market fluctuations, and everyone hopes to use them to store giant caches of data. But quantum computing is still a young field, and quantum computers can’t do any of it yet. At present, the one in front of me can factor the number fifteen.”–Via. In the next few weeks, we’ll begin a discussion about photosynthesis. Even when quantum mechanics is way beyond the grasp of what we can discuss in a High School Biology course, it is interesting to know that the nature of light–its behavior, especially in the context of chloroplasts, which regulate photosynthesis–can be understood through quantum concepts. The film–of about six minutes–puts forth very interesting topics that we have discussed in class regarding the nature of science, our place in the universe, and technological progress. This entry was tagged Chapter 6: Photosynthesis, Science, technology. Bookmark the permalink. ← Diffusion and Osmosis (via Khan Academy). Here, you will find math-free explanations regarding quantum mechanics and how it is associated with us. In fact, as it is said in this article, many advances in technology have to thank this topic. If it weren’t for Q. M., we wouldn’t have our own computers, we wouldn’t have cool lasers, and movies wouldn’t be available in the stunning definition of Blu-Ray. And many things in the next few decades, regarding medicine, telecommunications, etc., will owe their role in human experience to the developments in this exciting field. Technology is so advanced now a days. Thanks to these many discoveries have been performed. I will like to know what will scientists discover with this new mechanics in the future. But instead of making so much technology, why the cure for cancer can’t be found? Technology is so advanced in the present day that the use of it is mostly misused. Insted of using this advanced materials and knowledge for useless things it should be used to discover things that would actually make a mark in history o change the world. I find it is remarkable how technology has evolved. Quantum computing may change the way we live in a not so distant future–20 to 30 years from now. By having a better understanding of the nature of subatomic particles that make up protons, neutrons, and electrons, fields like medicine and information technologies will benefit a lot. Right now quantum computing seems very abstract and complex, but once we begin seeing its applications in our everyday lives, we will never turn back. I imagine that the same thing happened when electricity was discovered. It was very abstract and complex for everyone except scientists, but once the incandescent light-bulb was invented, everyone understood. Technology has helped us for many years but it has changed now a days. Technology is now used more as toys or gadgets, I’m not saying this is bad, but we haven’t gone to mars, we haven’t cured cancer, we haven’t solved the hunger problem. They haven’t solved humanities big problems. “Technology has diverted us and enriched themselves.” Will we be able to solves the futures problems. When you really think about it, ‘technology’ has always been with us. Actually, the written word is a technological achievement in itself. So, we cannot think of our way of life without technology. Even Socrates was afraid of the written word. You know that horrible moment when you don’t understand anything you just saw, well I just had it. I think that the super computer in the video was pretty interesting though, so I decided to try and find a simpler explanation, something along the lines of quantum physics for dummies. Well I found many sites but I still couldn’t understand it. I got something along the lines of “everything you think is right is wrong”. So I guess to quote Socrates: I only know that I know nothing. Mr. Adrover I hope you wont mind when I ask you a zillion questions next semester because you’ve made me really curious. Here are the links though in case someone smarter than me would like to take a crack at it. One of them talks a little about the history of quantum physics. Hope you enjoy! I don’t understand much about quantum mechanics. But I’m curious; I’ve been curious about the topic for a few years now, about 8 years. But I’ve come to understand that the age of classic computing—binary numbers, 0’s & 1’s; contemporary pc’s, macs, mobiles, etc.—is coming to an end in the next few decades; graphene technology’ll be its last hurrah. Quantum computers are the next step; the step that’ll usher triumphs in medicine, communications, art, etc. Technology has helped us for many things and has changed our daily lives, but i think we are using technology for things that are not as important as for example games, computers and other stuff instead of finding the cure for cancer, or solving problems in our world like solving the problem with the ozone layer that in a few years may kill all of us. We will get there. And it is possible that the skills that a teenaged gamer gets while playing a video game, can give him the dexterity needed to perform risky and difficult surgeries in his 30’s. Is that what this is about? Manipulating things into going faster? They say in the video that they will ask the computer the question of are we alone in the universe but really can’t that wait? If we are meant to know if other beings exist then we would have already been contacted or it will happen someday. The man in the video says that it’s human nature to push into the unknown and we are not human without it. But are we still humans if we focus on making technology faster and not eliminating famine,diseases, and other major problems in our world. I believe they should use all this effort, time, and work to help solve the problems that plague humanity. While searching for more information about this topic I found this article where it is speculated that the idea that quantum physics, theories, and computers can maybe obtain the answer to time travel. 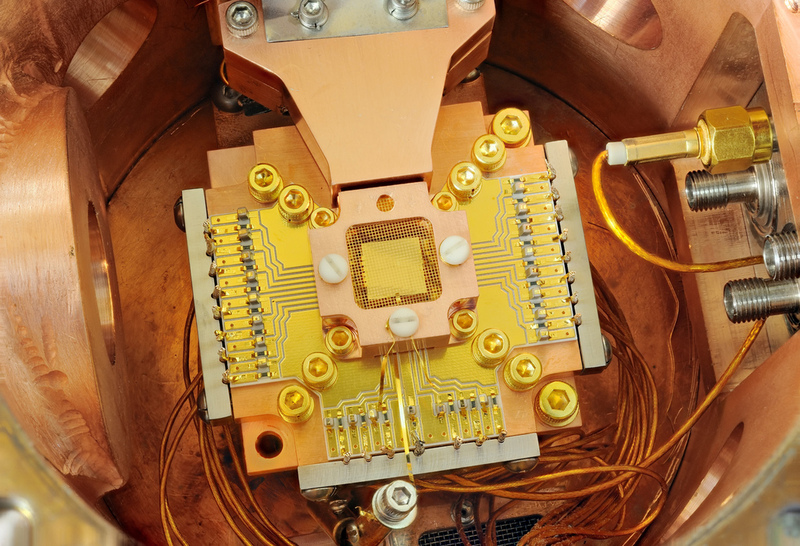 Maybe your grandchildren will benefit from the legacy of quantum computing. Imagine a computer that can map and even predict how cells replicate. Medicine will benefit a great deal from the large amount of information that a quantum computer, in theory, can process. While we are answering—or attempting to answer—these questions, science is the end result. To know wether we are alone or not in the universe will have an almost unprecedented impact in the way we relate with each other. Nationalism and religions will seem almost absurd if we ever find out that other sentient beings are out there. Very hard to describe, indeed. I imagine that just as hard, if not more, was explaining how electricity works to early 20th century humans. It is incredible how technology has evolved over time. Now a days, the technology we have is very advanced. We depend on technology. It has helped us in many different things. I can’t imagine this world without technology. I actually really enjoyed this video a lot. I never thought that quantum physics would be that deep in the search of why everything happens. As stated in the video: “it defies every intuition you have about the natural world”; this video opened my eyes to many possibilities as to how everything is and why is it that way, like finding a reason for the cause. I also found interesting how those scientists, Google, and NASA have joined to create this machine called D-Wave to ask about life. If I would get the chance to ask it a question i would also ask: “Are we alone?”. We are at very early stages in quantum computing, comparable to what was happening in the late 60’s & early 70’s with the modern computing. And look where we are now 40, 50 years later. I thought this video was very interesting. It expanded the limited knowledge that I had on quantum mechanics. I find this field very interesting since its function and uses are so universal. The fact that this technology can be applied to technology, medicine, for use of communication, and for storage gives us a view of how this field can open doors to new possibilities. Because of quantum mechanics, our view of the world will be more broad. I also liked how it incorporated so many of today’s mysteries: black holes, time travel, and the potentials of artificial intelligence. I wanted to understand more about the basics of quantum mechanics and found an interesting link that goes from early civilization to the introduction of the concept of quantum mechanics presented by Raymond Laflamme, a former student of Stephen Hawkings.